Gift boxes are always nice to give away or to receive. What could be inside this time? The surprise effect is a wonderful thing. 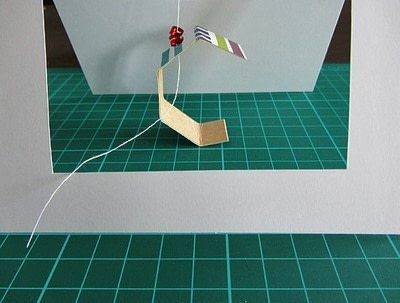 Craft this playful, yet elegant 3D card to surprise someone. Tip: Use white cardboard or put wrapping paper on both sides of the cardboard to make it look more elegant. Brown cardboard makes it look more organic. 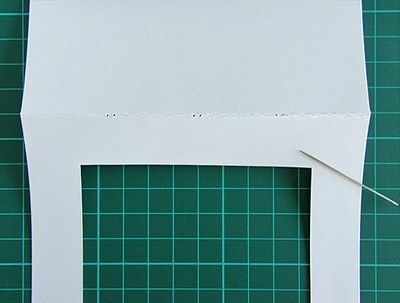 Cut out a square from the front side of the card with a craft knife and a ruler. Make 6 holes in the fold edge with a needle. 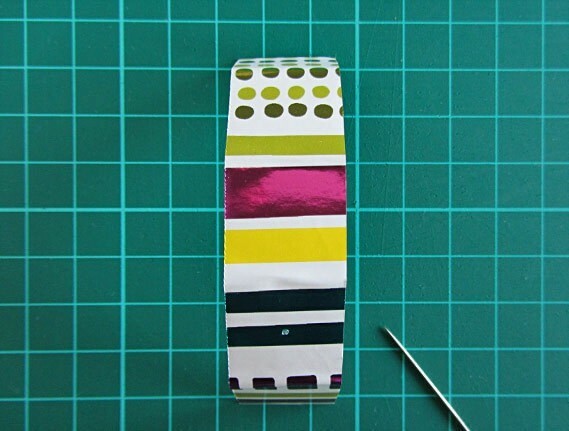 Make them in pairs of 2 and leave 0.8 – 1.2 inch (2 – 3 cm) in between the pairs. Grab a piece of cardboard and cut out a piece of 0.8 inch (2 cm) x 3.8 inch (9.5 cm). 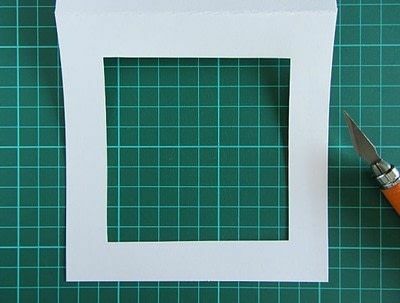 Fold it along its width by every 0.8 inch (2 cm). You should get 5 sides in total. The last side is a bit shorter (0.6 inch / 1.5 cm). Glue all sides or use double-sided adhesive tape. 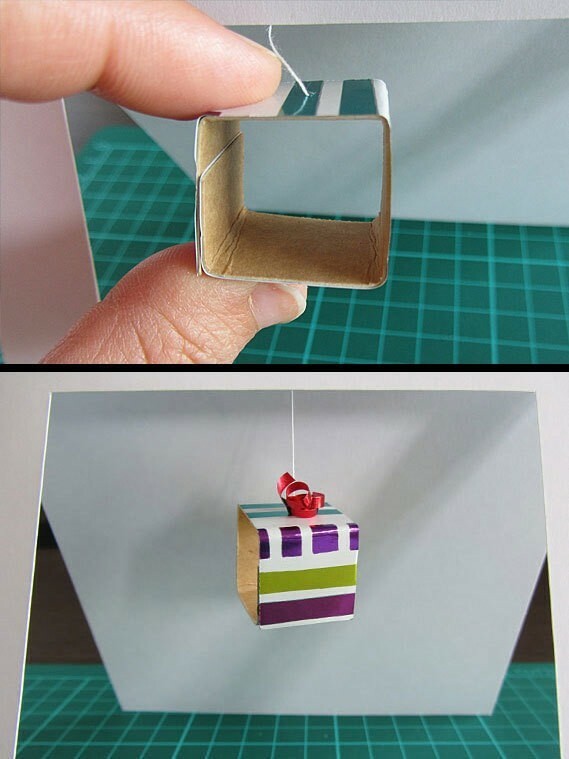 Carefully put one side at the time on wrapping paper and fold it like a cube in the meantime. 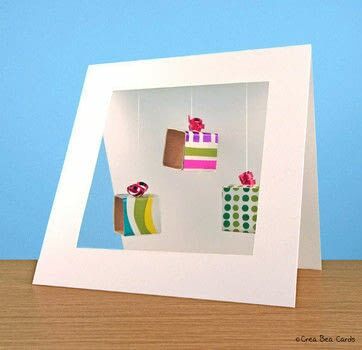 This way you’ll be able to flatten the cube when you put the card in an envelop later. Make a hole on the top side of the cube by using a needle. 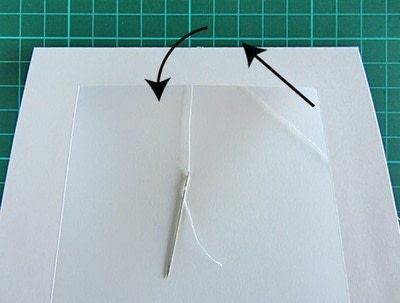 Use the same needle to lace a white thread through one of the three pair of holes in the fold edge. Lace from the card inside and go back through the other hole. Curl a 1.2 inch (3 cm) piece of curling ribbon with a scissors and pull the white thread through it. Now pull the thread through the hole of the cube. Adjust the thread till you found the right height, so the gift box will float in the air. 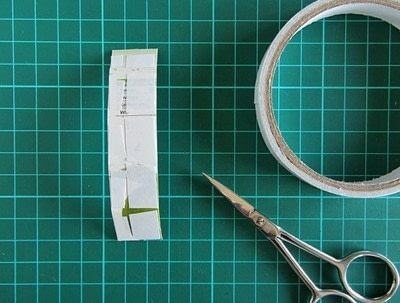 Put a sticker or sticky tape on the inside of the cube onto the thread to “lock” it. 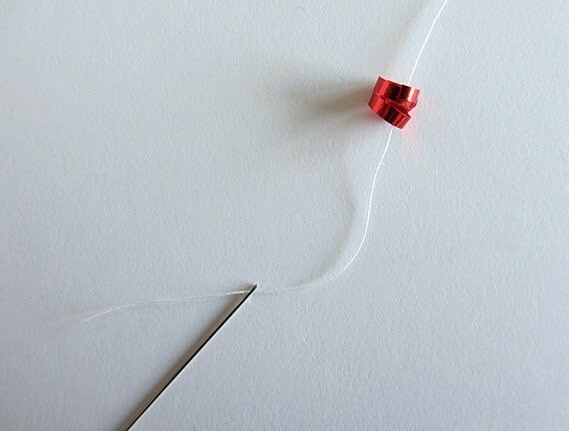 Cut off the remaining thread. 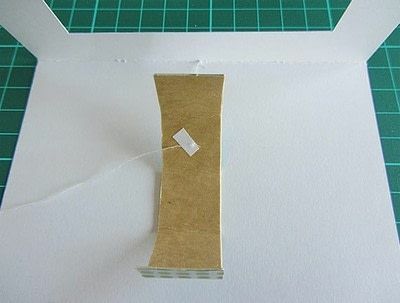 Put a piece of double-sided adhesive tape or glue on the short side of the cube and put the cube sides together. 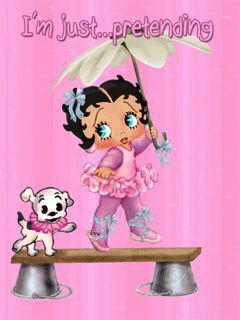 Now please repeat step 3 till 12 to create two more gift boxes and your 3D card is ready!